When your precious jewelry needs repaired, you want to feel comfort, care and confidence. You must be as comfortable with the jeweler who does the repair as you were with the jeweler from whom you purchased your jewelry. 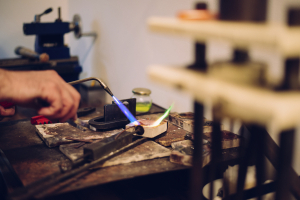 We know that you must feel confident that the jeweler not only has the necessary knowledge and skill to maintain your jewelry, but that he also will care for it as if it were his own. 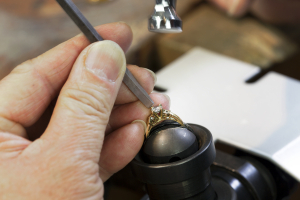 At In House Jewelers, we treat all repair work with the utmost attention and care. Each piece of jewelry brought in for repair is entered into a sophisticated, industry-specific software program, complete with photo records of each item. As the repair is completed, a system of quality checks is performed before the job is completed. The customer is not called until we are satisfied that the piece has been restored to its original quality. 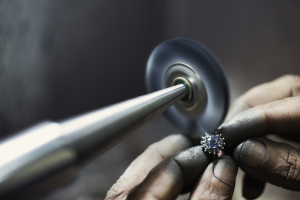 Why Choose In House Jewelers For Repair? The experts at IHJ instill comfort, care and confidence. No repair is too big or too small. We value every repair client, and we strive to provide the best work on every job. The jewelers at IHJ have over 40 years of experience in jewelry repair, restoration and preservation. Their experience speaks for itself; their integrity is unquestionable. Restoration of heirloom/antique jewelry uses IHJ’s state-of-the-art technology. A laser welding machine called Laser Star™ allows us to repair delicate pieces of jewelry with pinpoint accuracy, and without the potentially harmful effects of a torch. We retain the origins of the jewelry while providing a higher quality repair. IHJ offers eyeglass repair done in the same day. Ring Sizing – Whether you need a larger or smaller ring, IHJ jewelers will help you to get the perfect fit, so your ring fits better than a glove! Gemstone/Diamond Setting – We carefully and painstakingly set the precious gemstones and diamonds in new settings, making sure they are just as valuable as when they came into our shop. Chain and Clasp Repair – Using the most exacting tools possible, IHJ can repair even the most delicate twisted or broken chains. We make it a point to provide safety clasps for all jewelry to ensure security. Pearl and Bead Restringing – Don’t let a broken strand of beads or pearls prevent you from wearing a beautiful necklace or bracelet. IHJ can restring your jewelry so it’s like new! Cleaning and polishing to new condition – IHJ jewelers will make your jewelry dazzle with a thorough cleaning and polishing until it sparkles like new. Rhodium Plating – The experts at IHJ jewelers help your rings to last longer with rhodium plating, which increases durability and resists surface scratches. Their exacting standards are proven as they add plate that is 1/100th the width of a human hair to the surface of your ring. Machine engraving – IHJ has invested in state-of-the-art engraving machines that will embellish the most delicate jewelry pieces. The wide selection of engraving choices will personalize your jewelry for years to come.